How To Find The Best Dog Food For Huskies? All dogs have the same basic nutritional requirements, which means that they need proteins, carbohydrates, fats, vitamins and minerals in every meal. But not all dogs need the same amount of these nutrients, and Siberian Husky as high energy and endurance breed has its individual needs. What Are The Dietary Needs Of Siberian Husky? High protein levels: Meat is an energy source that contains proteins for well developed and strong muscles and tissues. Huskies need a diet rich in meat proteins in order to have a healthy and active life. Moderate levels of fat: Fat is the main source of energy and essential part of this breeds diet. To keep your dog active and healthy he needs to eat food that contains animal fats, that will also support healthy coat and skin. Low or moderate levels of carbohydrates: Carbs are also sources of energy, but not so essential as proteins and fats. With that being said choose foods that are grain free or contain easily digestible whole grains to prevent stomach problems and allergies. How Much Food A Husky Needs? Two to three meals: It is advisable to divide your dog’s food into two or ideally three smaller meals. This will increase his calorie intake and give him enough energy though the day, this it is also a great way to prevent the occurrence of bloat. Less than stated on the label: This breed eats less food for its weight so it is advisable to feed your Husky with 2/3 of the amount stated on the label by the manufacturer. How To Please Picky Huskies? Mixing warm water with food: This will alter the texture of dry kibble and distribute the smell into the air making it more appealing for your pooch. Adding small amounts of fat: By adding a little olive or vegetable oil you can make dry food tastier and harder to resist. Just make sure that you don’t exaggerate since oils are calorie rich and too much can cause extra weight. 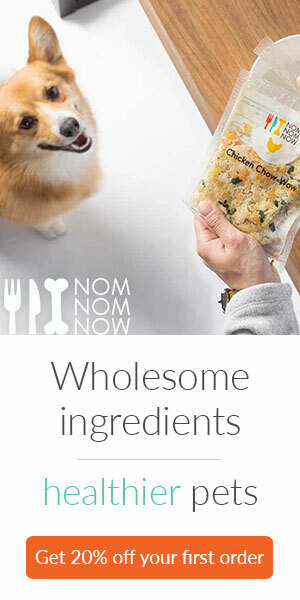 Mixing healthy treats: By adding peas, carrots, shredded chicken or anything else your Husky loves to his dry food you can make it more appealing. You can mix different things every week and make boring kibble more tasty and interesting. Are There Any Food Related Health Concerns? High blood pressure: Is a commonly seen health problem in this breed, so it is wise to limit the amount of saturated fats in your dog’s diet. If left untreated this condition can cause a heart attack or stroke. Zinc responsive dermatitis: Is caused by the fact that Huskies have difficulties absorbing zinc and symptoms include scabs and hair loss on the muzzle, eyes, and ears. If you notice any of these take your dog to the vet, the treatment includes zinc supplements. Arthritis: Is commonly seen in older Huskies, and in order to keep this condition from occurring you should choose food that has Glucosamine and Chondroitin supplements that support healthy joints and mobility. Now that you know a little bit more about this breeds nutritional needs and eating habits we will proceed with the review part of this article. You should be aware that there isn’t one best dog food brand for Siberian Husky and that every dog has unique needs and tastes so finding a perfect food for your pooch can take some time. Siberian Husky is high energy and very active breed with a friendly and playful personality and special dietary needs. This breed can be picky and stubborn when it comes to food so finding the best dog food for Huskies can be a challenge. We chose 5 high-quality dog foods that are suitable for this breed to help you find a healthy and tasty meal for your pooch. Remember there are healthy options to make already tasty food tastier for your picky eater without spending money on new formula.